Is Luka Jovic a good candidate to replace Karim Benzema at Real Madrid? 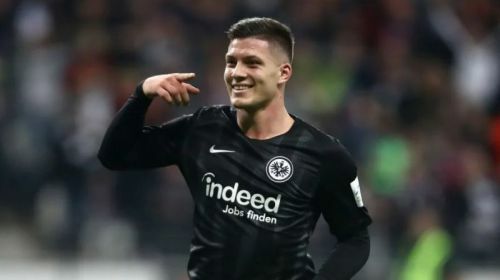 It has been reported from various sections of media in Spain that Real Madrid is interested in bringing Eintracht Frankfurt striker Luka Jovic to the club in the summer. He will come into the club as a potential replacement for long-term striker Karim Benzema. However, with the club desperate to get back to its winning ways, will Luka Jovic be an ideal candidate to replace the veteran striker? In 40 appearances across all competitions this season, Serbia's Luka Jovic has scored 21 goals which have made him the best player to play for Eintracht Frankfurt this season. Hence, he has come into the radar of top clubs across Europe with the struggling Real Madrid also interested in the 21-year-old's services. Although Karim Benzema has done better for the club this season than the previous few campaigns, the Frenchman is nowhere close to what performance would be expected out of the No.9 of a big club like Real Madrid. Hence, to solve the issues for the club in front of the goal, Karim Benzema could be the first casualty in the attack. Hence, with a number of options to consider for Real Madrid's next No.9, Zinedine Zidane has reportedly expressed his interest to bring Serbia's Luka Jovic to the club. The player is in good form and is someone who can make an instant impact at the club. Although he may not be in the minds of Real Madrid's bosses as the club's long-term main striker, Luka Jovic does give the flexibility to experiment in the upcoming season. He may not have proved his worth at the highest level but the talent he has shown until now is enough for the club to invest in him. He is a relatively cheaper option in the market considering other fellow strikers who could be on the move. Not many are aware of the playing style of the Serbian and that would bring the unpredictability factor which can help the club. Hence, Luka Jovic could indeed be a good option for Real Madrid to replace Karim Benzema.